What do the Alps and Mount Olympus have in common apart from snowy peaks? Since 2017, tunnels have carved through the rock, slashing journey times and improving road safety. Greece’s project took a long time to happen but EU funding ultimately made it all possible. 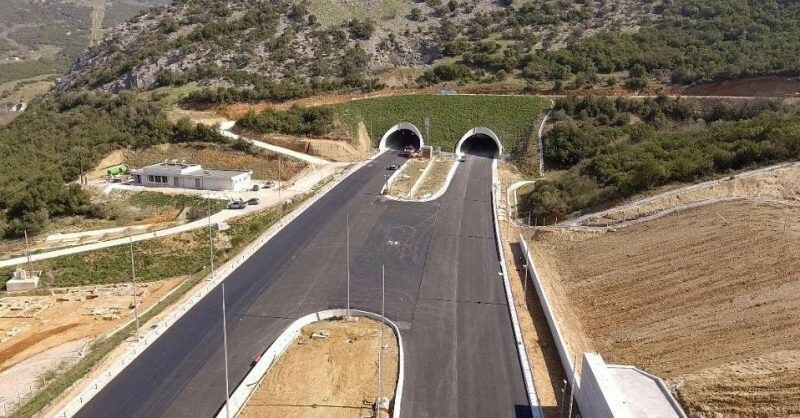 The completion of the Tempi project in April 2017, now the largest highway in the Balkans boasting three twin tunnels, means the 503 km journey from Athens to Thessaloniki is 45-75 minutes shorter than before, meaning the trip can be made in just over four hours. Its construction cost around €1.5 billion, with half the money coming from Structural and Cohesion Funds, which supported the project with a grant of €699 million. EU co-financing applied to the construction of the Evangelismos – Skotina section (24.7 km), as well as the upgrade of the existing sections (204 km) of the PATHE axis through the Operational Programme ‘Improvement of Accessibility’ 2007-2013. Its completion resulted in a reduction of road accident dangers by 30% per year – this is about 50 accidents a year – in one specific area. But obstacles to technical procedures and delays in public procurement mean the area witnessed a number of accidents, the blame for which has been laid squarely at the feet of administrative shortcomings combined with human error. A typical example is one of the 21 pupils from Makrochori, Imathia, who died in April 2003 while returning home from an excursion to Athens. In the afternoon of that day, the 43-year-old driver of a truck lost control, entered the oncoming motorway lane and collided with a bus between Thessaloniki and Larissa. Another accident took place near Tempi in October 1999, when six PAOK football fans were killed when the driver of a bus carrying 77 people collided with a truck when trying to overtake it, leading to the bus overturning into a ditch. This is all in the past now and today’s reality is quite different. After the tunnel’s completion, no serious accident has occurred in the area and traffic jams that once caused significant delays have been eliminated, particularly in the summer months. It has also had the knock-on effect on making the old scenic road an alternative route for visitors and tourists, who can take it in order to enjoy the beautiful vistas provided by the Pinios River, Mount Olympus and Mount Kissavos. The Tempi project, which had been planned for years, was initially announced by former public works minister George Souflias in 2001, but the contractor was selected only five years later, in 2006. The contract was signed in mid-2007. Work on the tunnel was expected to conclude in 2011 but the financial crisis in Greece hit companies and banks hard and led to repeated postponements until it was finally completed in April 2017. This project – of unprecedented size and difficulty for Greece – was implemented through a concession contract (PPP) as part of the pan-European TEN-T network. “Greece could not have completed these projects without the concession method, without co-financing,” George Souflias said, referring to the completion of the project. Greece is now focusing on the completion of the Thessaloniki metro, earmarked for sometime before the end of 2019, which Commissioner Crețu hopes to inaugurate before the end of her mandate.